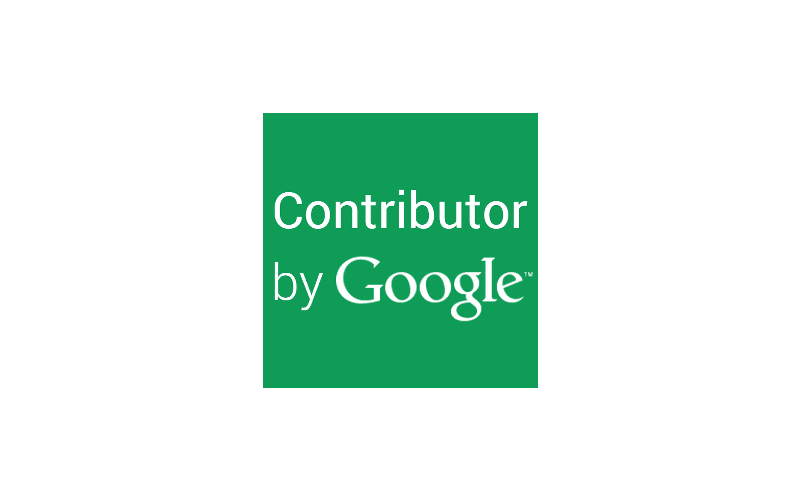 Contributor is a social payment by Google which allows you to pay in order to avoid adds. Some of the payment go to the publishing site. 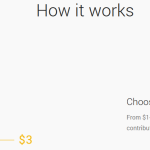 From $1-3, you set your monthly amount. 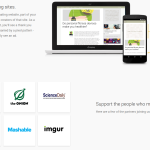 The more you contribute, the more you support the websites you visit. Chromebook and a Nexus phone showing the Contributor product in use A pixel pattern appears where you would normally see an ad. Alternately, you might see a thank you message. 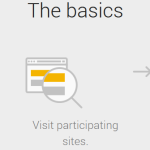 When you visit a participating website, part of your contribution goes to the creators of that site. As a reminder of your support, you’ll see a thank you message – often accompanied by a pixel pattern – where you might normally see an ad.